This morning I got to go to the first meeting of the Kansas City Modern Quilt Guild. And I forgot my camera! Someone else will post photos soon, I'm sure, and I will link up to them so you can see pictures of our good times. I was a little late, and there were over 30 people there! It was bigger than I thought it would be. Everyone introduced themselves, and we talked about some of the things we hope to accomplish in the group, and we had a fun show and tell. I enjoyed meeting people, and I want to go back to the blog list and see if I can match up the real people I saw with their blogs. (I was going to look at all the blogs beforehand, but I ran out of steam and only looked at Laura's blog.) I'm excited for future meetings and sewing time with new friends! How lucky you are that everyone welcomed you to the quilt guild. The guild in our town is so big (over 100 people!) that unless you're in the "clique" you really feel left out. It sounds like you're going to have a great time with them. How much fun finding everyone's blogs! Sounds like you had a great time. I'm trying to decide if I should join the guild. I would have been there today, but we went to Topeka after getting up after the meeting was over. Maybe next time. Vicki, it was so great to meet you today! If you'd like any specific photos, let me know and I'd be happy to e-mail them to you. How about one of the group? I also know I have some of you with your super quilts! That's awesome that you've got a modern guild there! I wish someone would start one here in UT. wow! what fun! I've been seeing these pop and thinking they looked like fun! I LOVE organizing and decluttering. Remember, if you do it Flylady style, you can always do additional 15 minute blocks. Maybe alternating with some sewing...lol! I was at the guild meeting too, I think it's going to be fabulous! 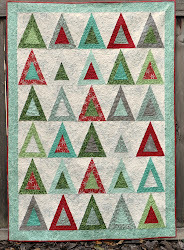 Oh I am so glad that you are going to have a wonderful group of quilters to get together with!